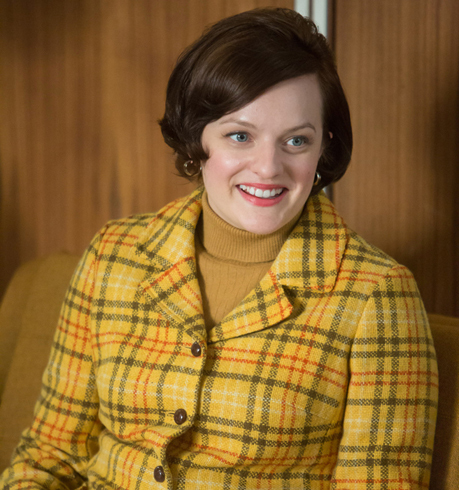 Women have been carrying on a love affair with men’s style since the 1940s. Call it Boyfriend Style, call it Menswear-Inspired, call it dressing like boys or whatever you want to. Women have always loved wearing male-inspired fashion and men’s garments. 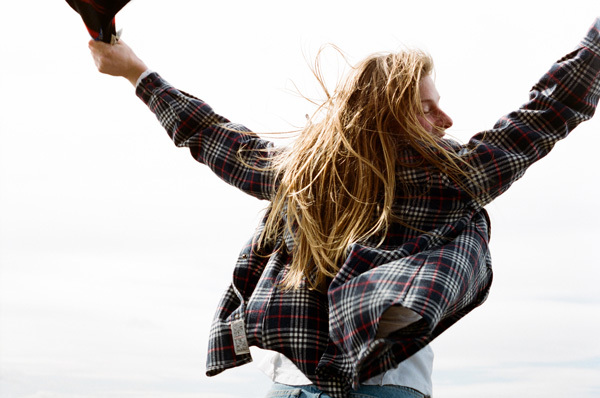 Especially, it seems, men’s Pendleton wool shirts. 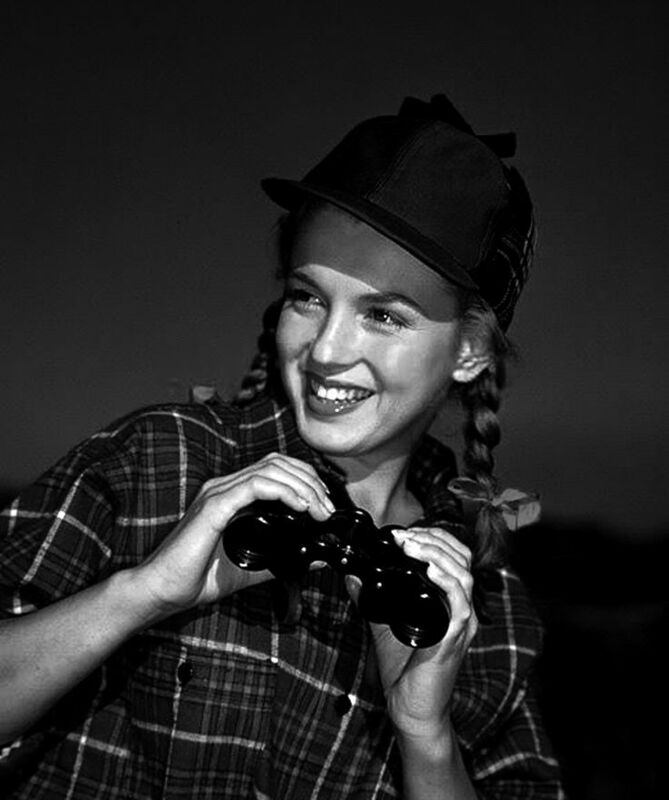 Pendleton’s success with men’s shirts had happened twenty years earlier, but during WWII, men were not the only people enjoying distinctive plaids and ombres in pure virgin wool. 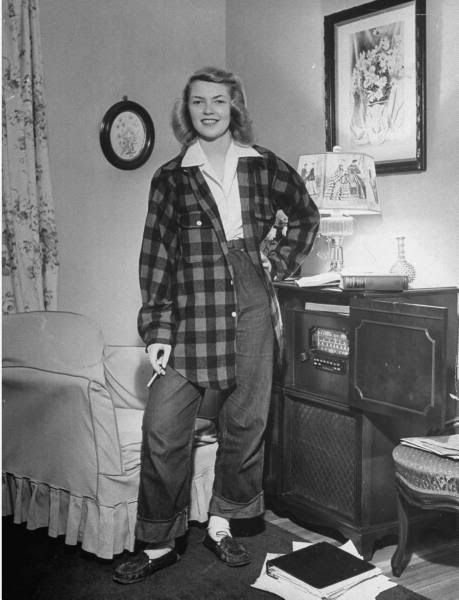 Women began to borrow men’s work shirts for both work and warmth. It’s possible that by wearing their husband’s shirts, women kept the memories of their husbands, fiancés and brothers close, though many undoubtedly needed some serious work wear that was simply not available for women at the time. Whatever the reason, women loved Pendleton shirts. Women loved the 49’er, but continued to raid men’s closets. 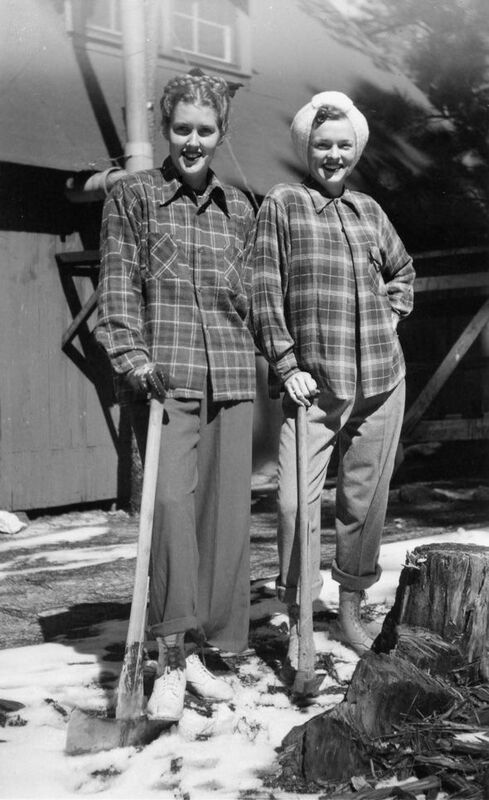 Here are two 1950s icons of femininity, rocking their Pendletons. These photos of Marilyn Monroe and Jayne Mansfield offer a clue as to why Boyfriend Style was so popular in the 1950s. It was associated with relaxation, home, comfort, ease, the outdoors. 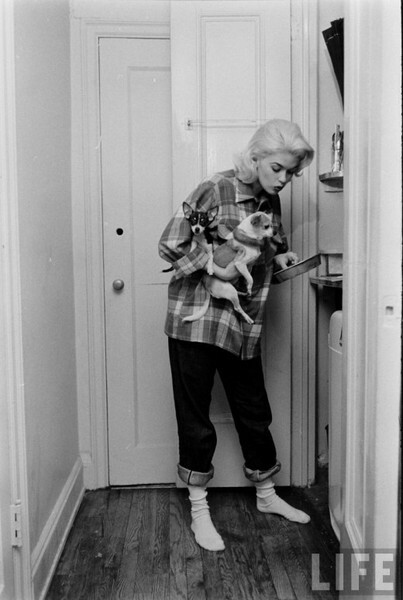 It probably offered them a break from their sexpot styling, though this Life magazine series of Jayne Mansfield cooking breakfast in a Pendleton shirt still manages to radiate her kittenish allure. (As another aside, clearly Jayne inspired today’s selfie-pout). The desire to steal his shirt didn’t end in the 1950s. Diane Keaton’s Annie Hall style showed up in the 1970s, creating a wave of skinny-tie-and-vest wearers. Women tucked shoulder pads under the bigger shoulders of men’s shirts and jackets and belted them tightly to create the signature silhouette of the 1980s. The 2000s brought the rise of thrifted style. Countless women reworked shrunken men’s Pendletons into their looks. And when we introduced our Fitted line, market intelligence informed us that a surprising amount of these slimmer-cut shirts were selling to women. 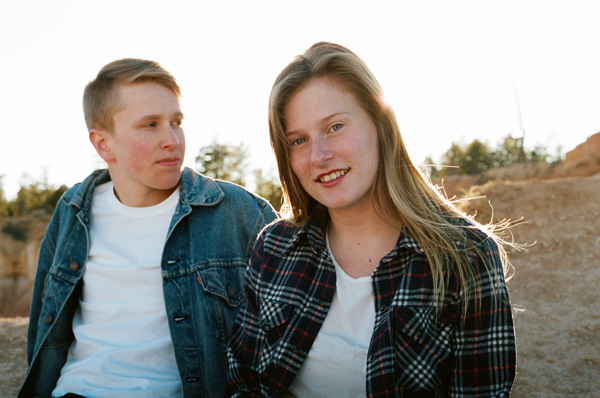 Women still love wearing Pendleton men’s shirts. When we decided to celebrate our Nine Decades of Pendleton Wool Shirts, we knew that women would want to celebrate this milestone, too. 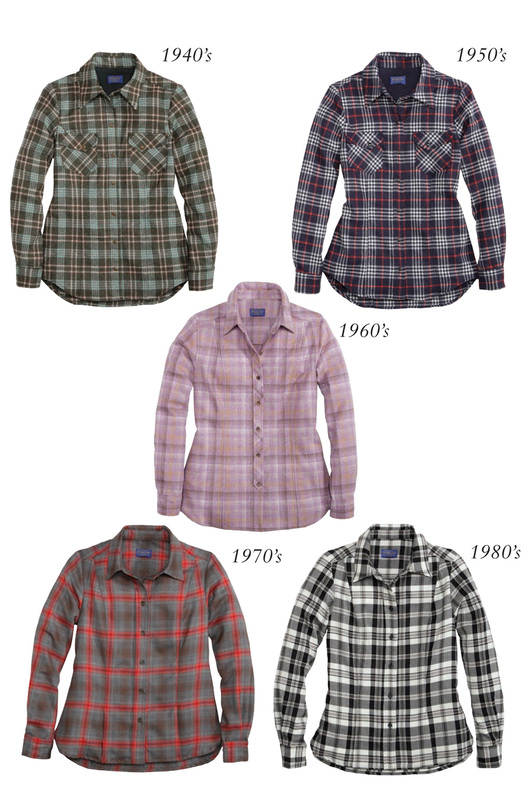 So we developed three Decade Shirts for women using plaids from our archives. Three styles, five fabrics, all available at pendleton-usa.com. The Prineville is a popover with a 3/4 placket. The Ranch Hand is based on our Men’s Canyon model, the original High Grade Westernwear shirt. 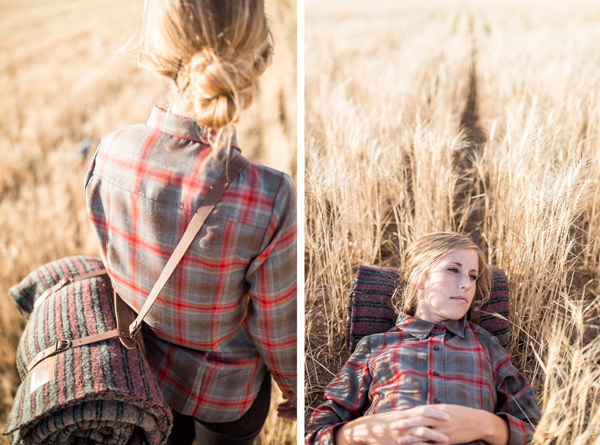 The Ponderosa uses our beautiful Sir Pendleton worsted fabric, meaning there’s almost a mile of yarn in every shirt. To finish things nicely, because we love to do that, each shirt has a special Decade Shirt label in the placket. We wanted to give you everything you love in our Men’s shirts with Women’s more fitted shaping. Here are the Decade Shirts for Women in action. Our Decade Shirts for women celebrate our past and inspire our future. But even so, we know from experience that you’ll continue to steal his shirt.